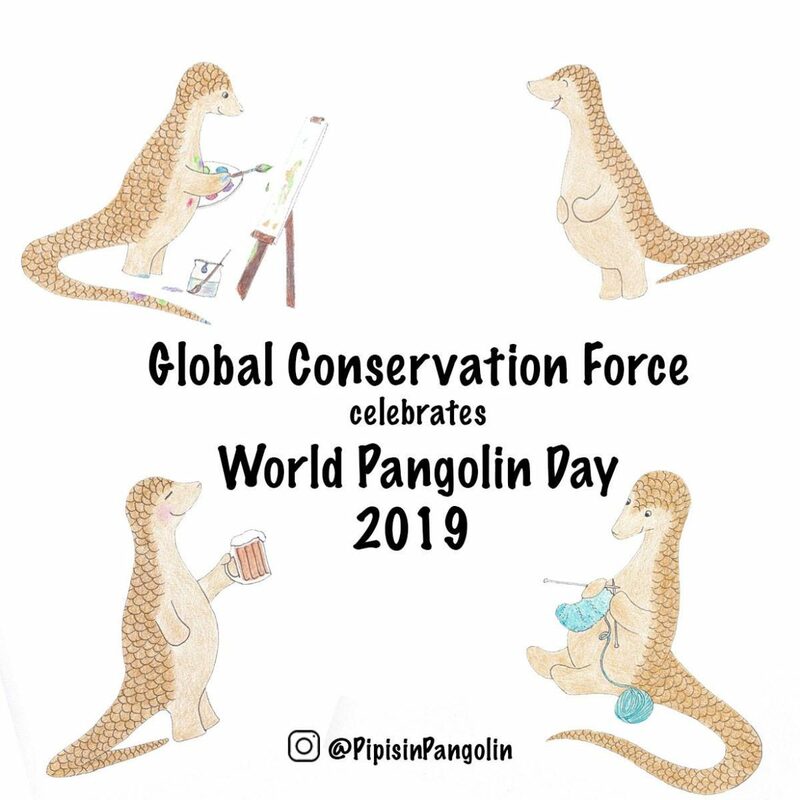 We are throwing an International party for World Pangolin Day 2019! Are you ready for #WorldPangolinDay? Global Conservation Force is hosting fundraisers throughout the country to celebrate our favorite scaly mammal! Help us celebrate pangolins and raise funds for their protection, conservation, and community education programs across Africa & Asia by attending one of our many events. From comedy nights to crafts & drafts, pancakes to painting – there’s something for everyone! Events are confirmed in San Diego, Escondido, Temecula, Los Angeles, Tucson, and Hawaii – with more locations in the works! Check out the Event page for the location nearest you! 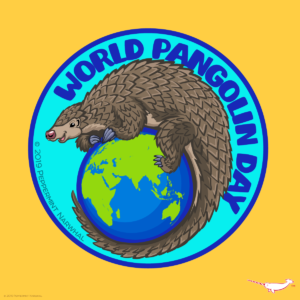 Check out our custom World Pangolin Day pin! 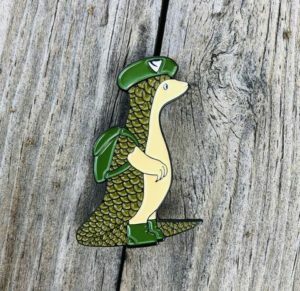 Support pangolin conservation efforts by purchasing our brand new pangolin pin. This pin was made in collaboration with “Pipisin Pangolin.” Pipisin is geared up as a ranger to help protect the 8 species of pangolin. 1.5” in length, enamel lapel pin. We joined forces with Peppermint Narwhal for a special World Pangolin Day Sticker! Creations 4 Wildlife has created a special bracelet to support! 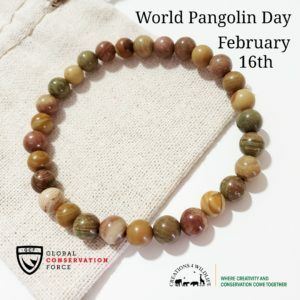 Purchase a #pangolin bracelet during February and they’ll donate 20% of the proceeds to our conservation and protection efforts! The mission of Creations 4 Wildlife first and foremost is to raise money for respected wildlife organizations. We are proud to donate 10% of our profits to support wildlife conservation, education and outreach to help save endangered species. This is why we started the company – not to make money, but to raise much needed awareness and funds for the protection and conservation of endangered species.